Kit includes 2 packs of 25ct. 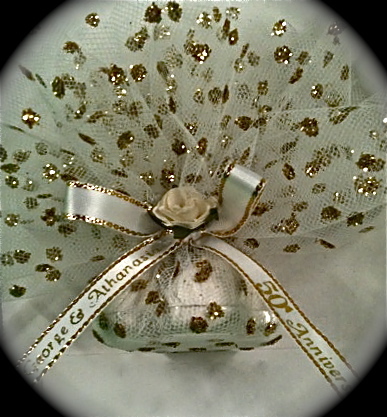 Polka dot tulle, 1 bag of white almonds, 25 imprinted ribbons, 25 almond holder dishes and 25 paper roses. Assembly is not included, but we can make them for you at an additional .75 per favor.